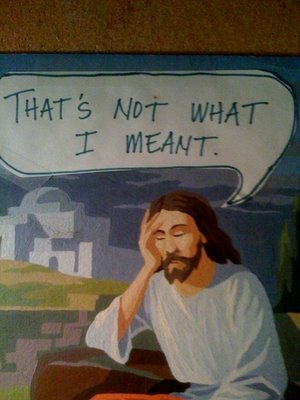 Jesus Gets Frustrated Too. | The Sasquatch Soul: wandering, searching deeply, and avoiding photos. Have any of you ever had this moment? A moment where you saw a person (or a whole group of people) mis-representing God and what the heart of Christ really is? As I walk through this life, I’m certain that I’ve been an unknowing recipient of this sentiment. I fail. I totally screw up. And I certainly don’t have to look hard to find examples of the Word of God being pulled grossly out-of-context or someone claiming to come in God’s name, but mis-representing Jesus and leading many people astray. If you are a child of God, I encourage you to LIVE what the Word of God says and walk in the steps of Christ. It’s the simplest and most complicated task you and I will ever approach. If you are not a child of God, please get in touch with me! Jesus came to save sinners (i.e: everyone). Our sin stands in the way of us knowing the Creator of EVERYTHING. That’s why Jesus came. For you. For me. For all the messed up people in the world. He already knows you. But there’s something missing; He wants you to know Him. He’s not afraid of your doubts or questions. Just ask!